Amazon has the Hamilton Beach Personal Blender (1 Jar) on sale for only $12 (reg. $21.99). Shipping is FREE via Amazon prime or on orders over $25. 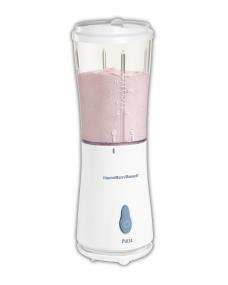 Hamilton Beach Personal Blender 这个一个人量的搅拌器现在打折$12.39 (Reg. $21.99）. 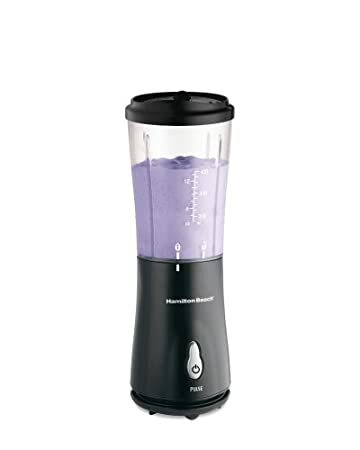 Macy’s.com this highly rated Magic Bullet MBR-12010W Blender for just $24.99 (reg. $49.99). Plus, choose free in-store pick up if available near you. or get Free shipping with $99 purchase. The beauty of a blended family. You can do it all with this fast-working, super durable Magic Bullet, which includes a range of blending cups & versatile lids for prepping, serving & taking your creation on the go. The high-torque base & stainless steel cross blade promise smooth, consistent & quick—just 10 seconds—results. Create your own healthy smoothies and shakes right in your kitchen with the Elite Cuisine Personal Drink Blender 17-Piece set. Macy’s.com now they have this Ninja Nutri Ninja Auto iQ Blender marked down to $69.99 (regularly $119.99)! This blender includes a small 18 oz Nutri Ninja cup and a regular 24 oz Nutri Ninja cup with sip & seal lids! AND, it also comes with a one-year warranty. 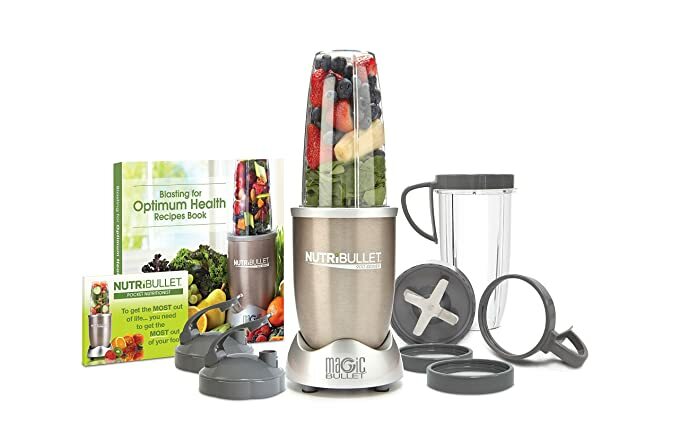 Today, June 19th only, go to Amazon and get this NutriBullet Pro 13-Piece High-Speed Blender/Mixer System for just $59.99 shipped (regularly $79.99). This set includes two colossal cups, one emulsifying blade, two flip-top lids, two handled lip rings, two comfort lip rings, pocket nutritionist, hardcover recipe book and user manual. On Target.com where they are currently offering this 11-Piece Magic Bullet Blender for only $29.99 (regularly $49.99). This Magic Bullet Blender set can chop, mix, blend, whip, grind and more! It includes a 250 watt power base, tall cup, two party mugs, stainless steel cross blade, three lids, two lip rings and recipe book. Just load your ingredients into the cup, twist on the blade, line up the tabs and place on the power base for quick and easy mixes. 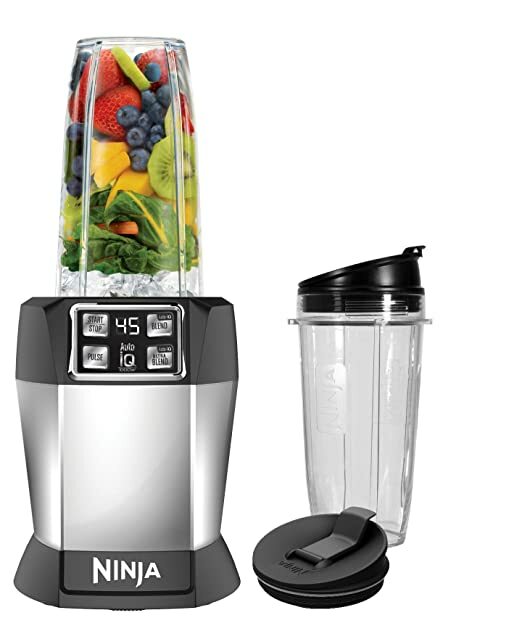 On Amazon.com where you can now get this Ninja Auto-iQ Blender for just $53.39 shipped (regularly $99.99) – best price! This blender features Auto iQ Technology and has a 1000 watt motor that can crush through whole fruits, vegetables and ice in seconds. It includes one small 18 oz Nutri Ninja Cup, one regular 24 oz Nutri Ninja cup, two sip & seal lids, one Pro Extractor blades and a getting started guide w/ recipes!